The young man who murders the author’s sister-in-law and her two teenaged nephews hides in the garage in an affluent neighborhood, and waits until they are asleep. In the night, he bludgeons and stabs them to death and flees. The perpetrator is the boy across the street, a family friend, 19 years old. Lost in grief, Judith falls into the welcoming arms of Zen. Five years later, through her newfound practice of daily mindfulness and meditation, she spontaneously forgives the killer. But before she can go to him and say, “I forgive you,” he hangs himself to death in his prison cell. Later, on the phone with the killer’s mother, the two women cry together. 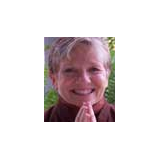 Murder as a Call to Love is the first book by a surviving member of a family mass murder to identify mindfulness as her turning point toward forgiveness and love. Already recognized by our country’s top Buddhist editor, Melvin McCleod, as worthy of Shambhala’s Best Buddhist Writing, 2006, the story that was the seed of this book was first told at Plum Village in 2001, at a Hiroshima commemoration ceremony by the author, Judith Toy, student of the renowned Zen Master Thich Nhat Hanh. Six excerpts from the book were published prior to the book itself. "I just finished reading Murder As A Call to Love but know that it will be reading me for the rest of my life. If you are not concerned with the transformation of suffering, this is not a book you need to read." "Your video brought me to tears. Your transformation and healing, your forgiveness is healing, forgiveness for us all...We come to know deeply that we are all victims; we are all offenders. Your journey is testament that transformation is possible, and that, yes, forgiveness is possible...Thank you for sharing your story. Your book is a gift to us all." "I sat captivated for three evenings with the book. Please know that was most unusual for me. I was personally surprised. It was an honor to be your first review on Amazon. There will be many more." "Thank you so much for the work you do. It is life--and world-changing." --J.L. "Jude, what an amazingly strong and spiritual woman you are. What you are doing with this book is powerful beyond words." --D.L. "Your writing has had such an effect on me. It wasn't until I read your column with the quote from Isaiah, and about the terrible things that happened to you, yet you had learned to forgive. It takes an epiphany...before it can happen to some of us. It happened to me while reading what you wrote, or else it came from who and what you are. Your column, your writing, in fact all that you are made me realize I should not wallow in grief nor in anger or bitterness...."
"Thank you, Judith, for being here, for being such a loving spirit and for sharing your wisdom and knowledge with my wonderful circle of friends." 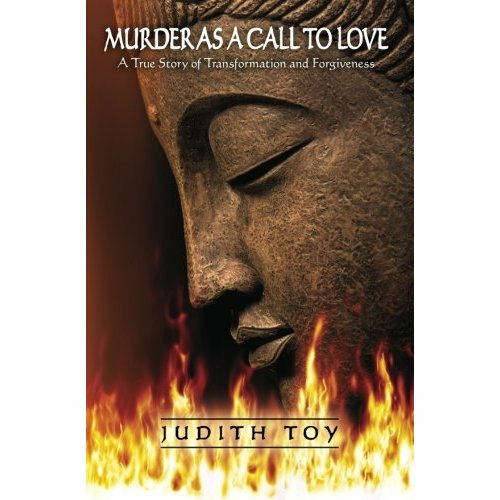 "Judith Toy has made a courageous effort to bare her soul in this book. She openly shares all of herself, and her poetry shines. Skillfully employing the Buddha’s teaching of no separate self, she helps us open our hearts to the depths of our own and others’ suffering. There we find that beneath our fear lies the fire of our longing to give and receive unconditional love. Toy shows us that finding the courage and determination to face our deeply entrenched fears -- especially fear of the dissolution of our egos -- comes from our innate wholeness. Intense, yet tender and gentle, exposingour resistance, Toy takes us into the depths of pain, transformation, and finally love and forgiveness. This is a masterful literary effort by a very talented teacher." Your book is very brave. Your honesty about everything from substance abuse to abortion to the murders really did make you vulnerable. I think what you wrote, and your husband’s letter at the end of the book too, effectively addressed potential criticism by family members or any others who might be critical. I hope with all my heart that you will be supported. To me, your book was not at all exploitative; you laid yourself too bare for that. There are so many powerful parts to the book. Among those that especially stood out to me were the sort of merging of the Isaiah passage with what you wrote about the murders, and your sense of identification with the killer that helped lead to your forgiving him, the story of the selfless work you and Philip did in Romania and in prison, and the ongoing account of how your mindfulness practice developed. When I started reading the article on forgiveness, I was curious about how you "got over" the trauma, anger, grief... and yes, blame about the deaths of your family members. Then I read the "poem" about the actual event and was brought to tears. THEN, after a bit I was able to read on to the connection you made with the killer's mother. It became so clear to me that forgiveness comes when we let go of separation and blame and embrace the knowledge that we are all in this together, somehow. We may not know the reasons or the story behind this murder but it is clear that all suffer, all grieve and somehow we must go on with love... or bitterness takes over our lives and then... are they worth living?